Lakes on Eldridge homes for sale includes two resort like communities in west Harris county. 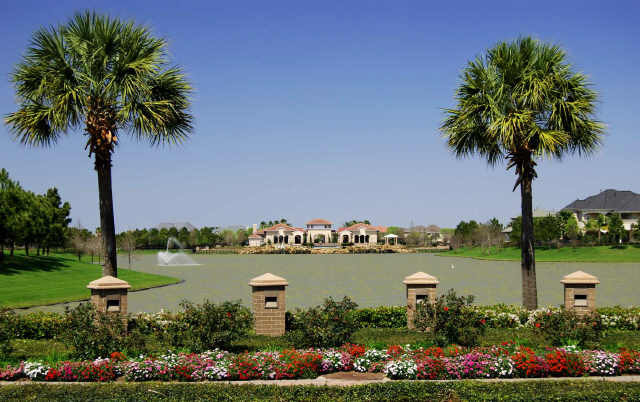 Both Lakes on Eldridge and Lakes on Eldridge North are 24 hour gated neighborhoods with a resort-like feel. Started in 1996, Lakes on Eldridge was popular with those working in the Houston Energy Corridor. Just 5 minutes north of Interstate 10 and just west of the Sam Houston Toll Road, Lakes on Eldridge offers easy access to many different areas of Houston. The first community sold out quickly and the developer, Ryko Development, went forward with Lakes on Eldridge North. In 2015, Lakes on Eldridge homes for sale boasted sales in the $300,000 to $1.5 million range. Most of the area features custom homes in the 3,000 to 4,000 sqft range and were built between 1996 and 2005. Many of the 1,800 homes are located on over sized lots and some back to the lakes. Luxurious amenities are featured in Lakes on Eldridge including the serene lakes, boulder waterfalls, spraying fountains, well appointed club houses with fitness equipment, 25 meter pools, lighted tennis courts, volleyball courts, jogging trails and more. Well manicured landscaping, palm trees and green spaces throughout Lakes on Eldridge in addition to pocket parks and play ground equipment for children. Longwood and Hearthstone golf clubs are just a few minutes away. The Lakes on Eldridge monthly newsletter will keep you informed with all of the social activities planned for children as well as the adults. Cypress-Fairbank school district features two elementary schools, Kirk and Lee elementary, close by. Plenty of shopping and dining options including the Kroger grocery store, LA Fitness, Thomas B-B-Q and Hacienda San Angel Mexican restaurant are a short drive away. The new City Centre development is just 10 minutes to the south along Beltway 8 and includes high end shopping and dining options.